The Royal International Air Tattoo is the biggest military airshow of the year and in 2013 pulled in 235 aircraft to RAF Fairford. 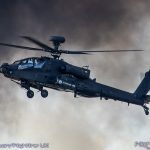 The continued difficulties faced by air arms around the world did have a major impact on the event, not least the non-appearance of any United States military aircraft. 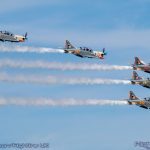 It did however still present many highlights including some memorable formations involving the Red Arrows with the first British Airways A380 and the Airbus A400M and return by the Polish Air Force MiG-29 Fulcrum. 2013 also marked a change for the traditional RIAT DVD with The Media Group (TMG) taking over the responsibility of producing the official product. 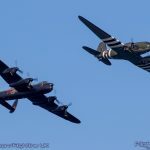 TMG already produce the RAF Waddington International Airshow DVD and their products generally have the feel of a full TV Documentary over a simple record of a flying display with many different interviews and featurettes slotted into their production. 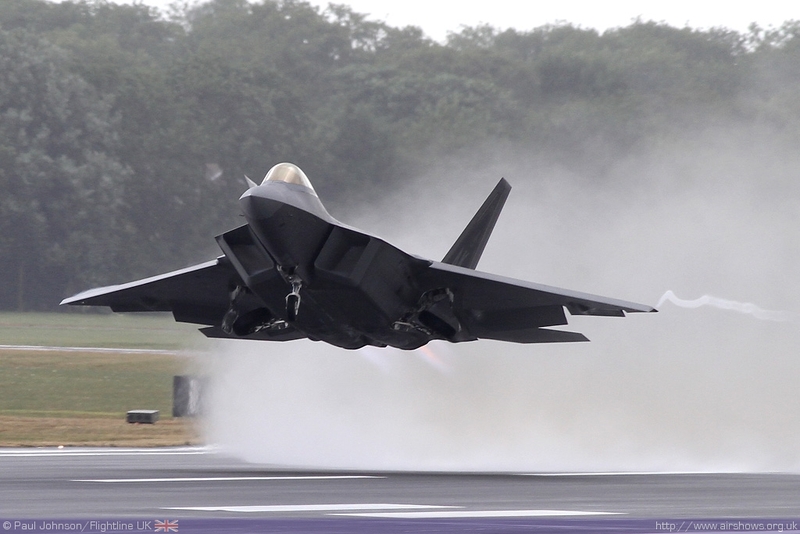 Running for nearly two hours, the production touches on many highlights from RIAT. The flying displays provide the bulk of the production and while filmed in HD, the filming does seem a little shaky at times and there are some odd camera positions which are positioned a very long way from the display line. While this on occasion does give some interesting angles on the big display teams, it does make the smaller aircraft seem overly distant and often makes the picture look a little too hazy! There is also some unfortunate editing, particularly of the aerobatic C-27J which sees the camera cut away as the aircraft starts its signature loop! 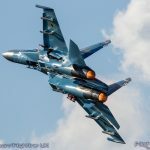 That said there is some really spectacular footage, particularly the on-board footage from the likes of the MiG-29 and La Patrouille de France. 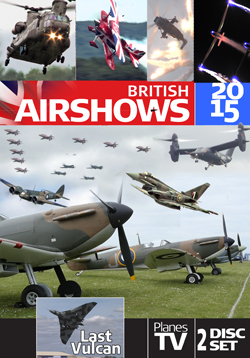 The flying display filming is up some concise and informative commentary from RIAT’s senior commentator Ben Dunnell. However, like TMG’s Waddington production, it is the interviews and background coverage in which this DVD scores very highly. There’s is a real sense that this DVD tries to give a flavour of the full RIAT story with contributions from the volunteers, medical staff, pilots as well as the likes of Tim Prince and Honorary Vice-Patron David Jason. While some may only want wall to wall coverage of the flying display, I always feel that DVDs always benefit from the extra depth these interviews and features add and it is something TMG have always done well. My only criticism of these segements is that some of them suffer from overuse of some psychedelic special effects. 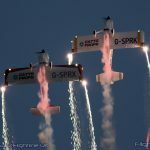 PreviousAIRSHOW NEWS: Air Tattoo on a Friday? Take it as red!